I must recommend that you do a post on gefiltefish. My husband, Jewish, has asked me to make or buy this food 'from the old country' in the past and I can't pull the JELLIED FISH out of the jar without a visceral reaction. Sometimes love is just not enough. Kelley and I used to work together, and her daughter used to go to preschool with Blake, where she decided that he was her boyfriend. Also, Kelley is a former Houston Oilers Derrick Doll! Now, guys, I ask you this: who among you, when asked to do something by a former NFL cheerleader, would be able to say no? Yeah, that's what I thought. In my head, I mixed up gefiltefish with lutefisk, and wasn't sure where to get it. See, lutefisk is fish that is boiled in lye until the bones dissolve, so I'm sure not going to take the chance of preparing it myself, but I've also never seen it for sale anywhere. 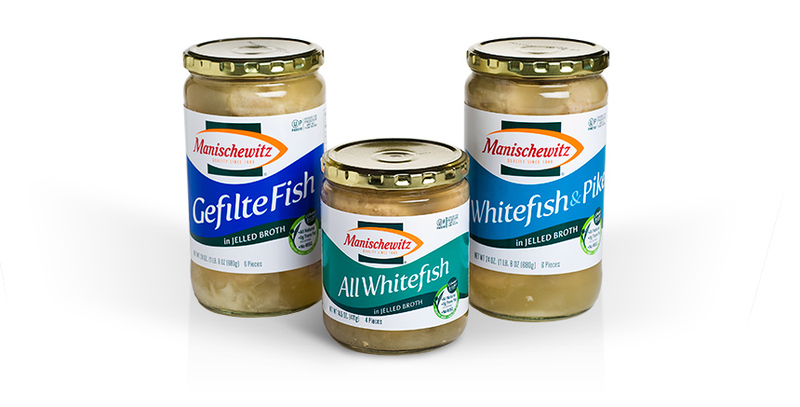 Not to worry, because gefiltefish is something entirely different. It is fish which is first poached, then minced, and then stuffed back into the fish skin or shaped into balls, usually with a thickener such as bread crumbs, matzoh meal, or onions. It is, essentially, fish sausage. Remember a couple of days ago when I mentioned the Thanksgiving dinner flavored sodas? Like I mentioned at the time, the problem wasn't that they tasted wrong. The taste was exactly right, but since the texture of the food wasn't there, it was just all off. This is what the experience of gefiltefish is like. The taste of fish is there, but the texture is like paté. It's unsettling. The taste itself really isn't bad, but eating those fish globs pulled from the murky fluid in the jar was just too much like eating cat food. With the gefiltefish behind me, it's now time for the evening's second item: Baconnaise. OK, it's not technically a food, it's a condiment. But it's a thing that exists, and for that reason alone I had to try it. Some of you may remember last year when I said on Facebook that what I wanted for my birthday was really expensive bacon. That wasn't a joke. And when my friends Steve, Wyatt, and Enusha actually sent me some for Christmas, I was over the moon. True, I'm not as much of a baconhead as some folks out there, as a quick internet search will prove, but I do love the stuff. Here was my question about this product, though - would it be a case of two great tastes that go great together (e.g. chocolate and peanut butter) or two tastes which should never have come close to each other (e.g. brushing your teeth and then drinking a beer). The answer is: a little bit from Column A, a little bit from Column B. 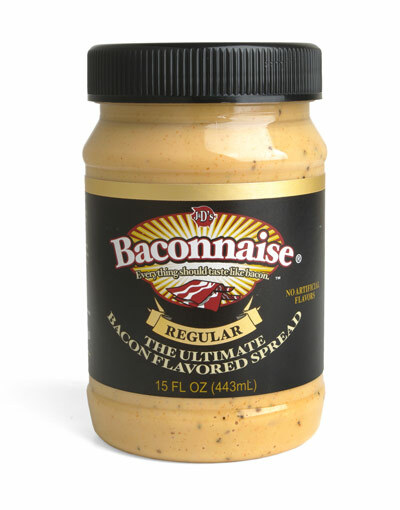 This stuff is powerfully bacony. A little bit goes a long way. I mean, it's pretty good, but if you eat too much, the artificiality of the bacon flavoring starts to come through. On a sandwich? Awesome. On its own? It tastes like one of those Beggin' Strips that you give to dogs. Did you choose this particular pairing for irony? Because if so, well played. That literally did not occur to me until the second that I read your message, but now I can't stop laughing about it. Hey everybody, you know what makes kosher food even more delicious? Bacon! Though, to be fair, it appears that Baconnaise is both vegetarian AND kosher (http://www.thekitchn.com/thekitchn/condiments-dressings/hot-or-not-baconnaise-068126). "Like being punched with a bacon flavored fist." This might be the line of the entire project!